From the author of Blue Like Jazz comes a book about the risk involved in choosing to impress fewer people and connect with more, about the freedom that comes when we stop acting and start loving. It is a story about knocking down old walls to create a healthy mind, a strong family, and a satisfying career. And it all feels like a conversation with the best kind of friend: smart, funny, true, important. 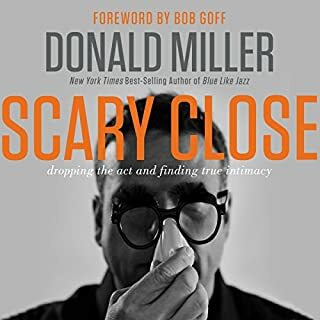 Scary Close is Donald Miller at his best. The content was great, the narrator was good, but it's the editing that needs work. There are no pauses between chapters or profound thoughts! Give the listener a chance to soak in truths. There are so many in this book.